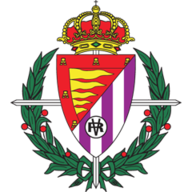 Real Valladolid's Primera Division relegation fears deepened on Monday night as they were comprehensively beaten 4-1 by Celta Vigo. Nolito scored twice for Celta, with Charles also finding the net, before a Stefan Mitrovic own goal gave the home side a 4-0 lead after 50 minutes. Manucho grabbed a goal back for Valladolid, but they remain three points adrift of safety, although they do have a game in hand on their relegation rivals. 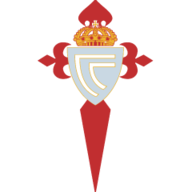 Charles almost gave Celta the lead after just seven minutes as he struck a shot against a post from 20 yards and Nolito missed with a header shortly afterwards. It was an open affair and Oscar responded for Valladolid with a shot over the bar, but Fabian Orellana then brought a smart save from visiting goalkeeper Jaime. Nolito had another chance on the half hour as he headed over the bar, but eight minutes later he put the home side in front. Orellana found him with a pass from the right and the forward was on hand to fire home from six yards. Just a minute later it was 2-0 and Orellana was again the creator, this time finding Charles on the edge of the box and the Brazilian drilled a low shot beyond Jaime. Valladolid were stunned going into the break and they found themselves three down just a minute into the second half. Levy Madinda was the provider this time as he found Nolito from the left and he curled home his second from six yards. Things were quickly going from bad to worse for the visitors and they must have known their luck was out when it became 4-0 after 50 minutes. Madinda was again probing down the left and when his cross went into the area this time it was the unfortunate Mitrovic who turned the ball into his own goal. Nolito was on the hunt for his hat-trick and brought two further saves from Jaime, but it was the visitors who scored next when Oscar crossed for Manucho to head home in the 75th minute. It served as nothing but a consolation, however, as Celta moved to the brink of mathematically securing their La Liga safety.